Barwon is characterised by breathtaking hinterland forests and stunning coastlines with ample services and infrastructure for a great lifestyle. All within easy reach of Melbourne. The relaxed seaside and rural lifestyle of the Barwon region washes over you like the waves that wash over its famous beaches. And from the cities to the towns, the sense of community is strong; perhaps it’s something to do with the residents knowing how lucky they are to live here. Barwon is a major player in the state economy. Traditional manufacturing and processing jobs in food, automotive, textiles, metal, petroleum and engineering are today augmented by knowledge-based opportunities such as bio technology and ICT. Whatever your preferred field, from trades to medicine, science to the arts, Barwon provides opportunities for all. 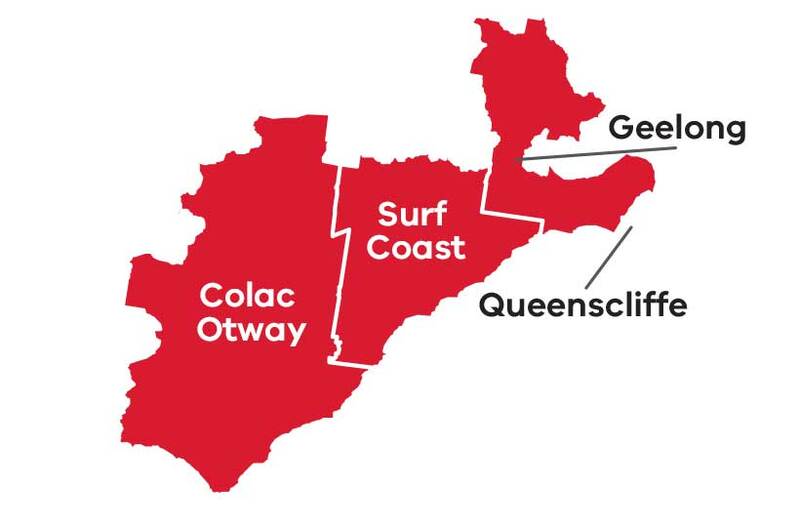 The Barwon sub-region includes the municipalities of Greater Geelong City Council, Borough of Queenscliffe, Colac Otway and Surf Coast Shires. Manufacturing has been and will continue to be a significant sector of the Barwon economy. The diversity of the manufacturing and processing sector is represented by food, automotive, textiles, metal production, petroleum, chemicals, timber and engineering. The Greater Geelong area is growing at a rapid pace due to its economy being in a favourable transition stage. Leveraging off the presence of its higher education and research institutions, the area is increasing its capabilities in knowledge-intensive industries such as Bio Technology, ICT and Carbon Fibre. Greater emphasis on primary care as the population ages. The G21 Region Alliance comprises a variety of independent organisations including the four municipalities within the Barwon Region plus Golden Plains, businesses and community organisations. The G21 Regional Growth Plan is one of eight regional growth plans across Victoria. It provides a broad direction for regional land use and development as well as high level planning frameworks and the means to implement the strategic land use and infrastructure directions that are set out in the Regional Strategic Plans. Visit the G21 Geelong Region Alliance website for more details.